Hugo and Rodrigo are beloved fathers, workers, and community volunteers. Their families and communities are suffering without them. Rodrigo and Hugo both have deep roots in the Bay Area and have lived in the US for over 15 years. Rodrigo and Hugo are long-time construction workers. Last month, they reported for a construction project at a hospital, which turned out to be located inside Travis Air Force base. 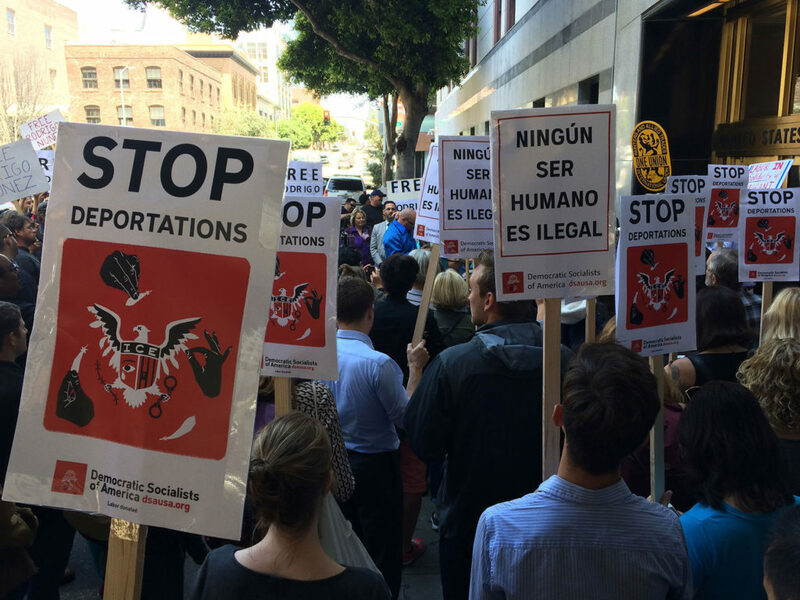 When they gave their information, the base turned them over to Trump’s deportation force. 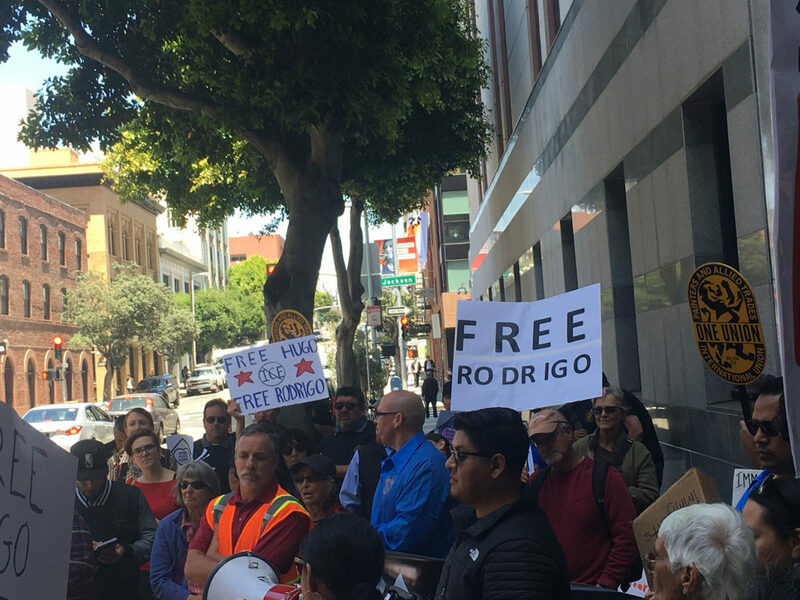 DSA SF members showed up for immigrant rights and joined our community to demand that ICE stop the deportation of Hugo and Rodrigo.